With our lives moving at the speed of light, I wanted to take concerted time to slow down to the pace of handwriting, to take time to reflect, and to capture all of the wonderful crazy things we may otherwise lose over time. When I started, I hoped to build a habit that I’d continue doing as part of my nighttime routine. 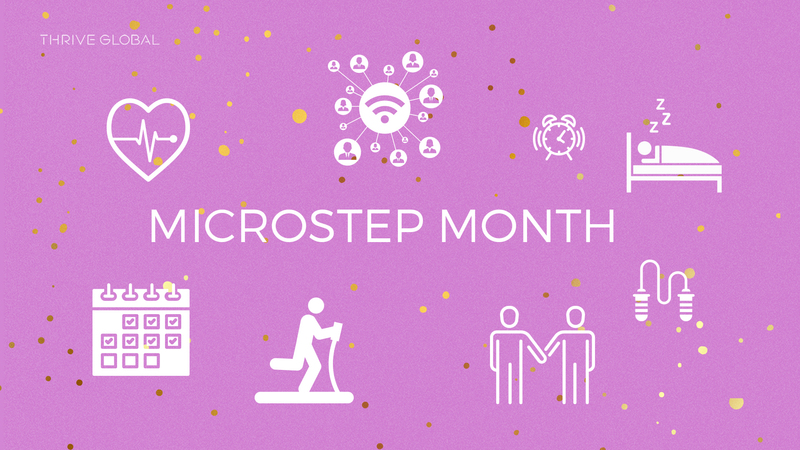 I would say I was about 85 percent consistent in doing the Microstep, especially when I was at work, because that’s where I kept my journal and would make myself a note in my work to-do list to complete my Microstep! I also added a calendar reminder as a double reminder. I always felt better after doing the journaling, kind of like a mini version of finishing a workout. Wasn’t so excited to do it, but felt accomplished after it was done. It also centered me and brought my brain speed down from typing to writing — a lovely slow down. Overall I think this experiment was very successful! I think this was largely due to attaching my Microstep to a clear, important purpose in my life. Instead of reflecting on my life at large, I turned the journal into a daily note for my partner, which I’m planning to share with him as a gift, capturing small moments in our relationship that we may have otherwise forgotten. While I still received the positive benefits of keeping the journal, setting a specific intention for it was what really kept me on track. My main learning was that if something is important to you, you will find time for it. (And if you’re not finding time, to reevaluate the importance.) Another learning was that by integrating my personal and work to-do lists, I made sure I was giving attention to both. Summer Borowski is Thrive Global’s Director of Branded Content. She comes most recently from running branded content social at Quartz and has a background in AOR agency social, managing clients such as the state of Colorado’s marijuana education campaign and VISIT DENVER, the city’s tourism bureau. Summer has an MBA and a degree in marketing from the University of Denver. Her obsessions include Instagram, finding the best rooftops in NYC, and her plant-based blog, Summer In Season.